PowerPoint Presentations takes an important part in life. There comes a stage where we all have to give a Presentation using the amazing office tool, PowerPoint. Be it college or office, you just can’t escape from PowerPoint Presentation. There is no doubt in the fact that PowerPoint is one of the amazing tools for making a presentation and helps a lot in meetings and group chat. The best thing about PowerPoint is a template. It offers a large variety of templates that adds beauty to the design. One can easily notice the changes made due to PowerPoint Templates. Use of correct template, charts, diagrams and point to point content results in that perfect PowerPoint presentation which is needed by everyone. However, there is one small drawback in PowerPoint. It features a limited number of presentation template and you will have to choose among these templates only. But, just imagine if you have 1000s of Professional PowerPoint Template which are made just for the topic of your presentation. For example, you are planning to give a presentation on Mobile Phones and you get a template matching this topic. PPTStar in that one place where you can get these 1000s of a template. PPTStar is one of the biggest players in the field of presentation templates development. It is there in this field from 9 years and offers one of the largest and most extensive libraries of PowerPoint Presentation Template, diagrams, shapes, and charts. 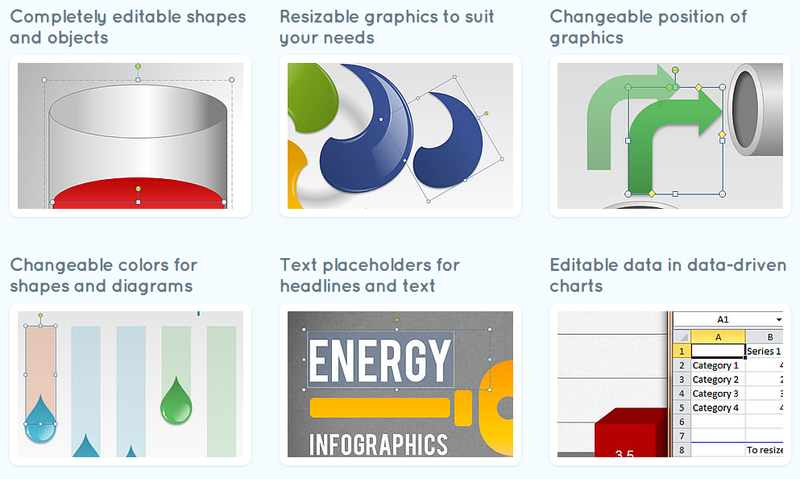 If you are looking for some new templates and charts for your PowerPoint Presentation, PPTStar is the place to look out for. What Are The Features of PPTStar? A Presentation is needed in Seminars, webinars, lectures and even in meetings. It can be used for Sales Presentation, Trade Show display, product promotion and even for your school/college project. PPTStar templates come with inbuilt layouts and beautiful backgrounds that can make your presentation stand out from the crowd. Here are few unique features of PPTStar Templates that make them a winner. Making a presentation can be a Hercules Task. You will face a hard time in fixing your text as per the template. However, that is not the case with PPTStar. It comes with such a design feature where the text automatically fuses with the template without any extra efforts. Besides, it is simple to use and you can create a dynamic and audience engaging presentation in just minutes. Colours can really change the way people look at the presentation. Instead of using a same set of colour for each and every template, PPTStar uses a collection of customised mixed colours which are optimised to make the presentation better and rich in colour. The best part here is that you don’t need to worry about whether a colour scheme will go with the template or not. Why stick to the same old fonts and bullet points when you can have a new design? PPTStar comes with a completely new set of typography which can add even more professionalism to your presentation. How Are Charts & Diagrams Different In PPTStar? Visuals play an important role in a presentation. It is said that a single visual can convey much more information as compared to the text. The best example of this is Pie Chart. The main point here is that PPTStar offers graphics and visuals which can be easily changed as per the need. One can easily download and copy the slides and graphics in their presentation which is highly customizable. Every single chart and diagram offer by PPTStar is optimised to add extra professional touch to the presentations. 1. You can completely edit all the shapes and objects. 2. Graphics can easily be resized whenever you want. 3. The position of the graphics can also be changed. 4. You can also change the colour of the visuals if you want. 5. One of the best features of visuals offered by PPTStar is that all the charts and diagrams come in two backgrounds and you can choose the light or dark background as per you need. What Type of Templates Does PPTStar Offer? This is one of the most exciting and unique features of PPTStar. I’m not exaggerating when I say that it offers more than 17,000 designer templates. 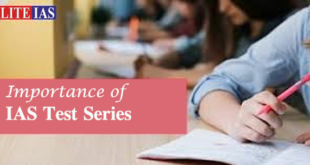 There is a dedicated template for each type of presentation and topic. No matter whether your presentation is related to Smartphone or Biotechnology, it offers a stunning template for each and every topic. PPTStar offers three plans for the users. One can opt for any of the plan depending upon the needs. The most basic personal pack will cost you $99/quarterly and with this plan, you can have access to all the presentation templates which means a single template will cost you even less than 0.01$. 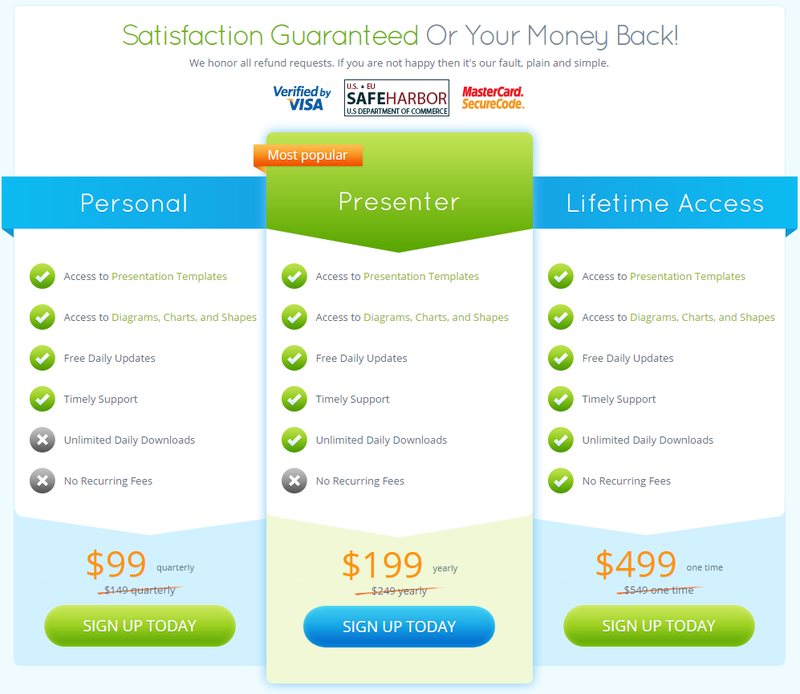 The most popular presenter plan costs $199/yearly and you can download an unlimited number of templates daily. The lifetime access plan is priced at $499 and offers all premium features including no recurring fees. Why Should You Choose PPTStar? Getting the suitable resources to download the professional presentation templates is a daunting task. The very sole reason that PPTStar is used by over 81,000 customers is very much enough to opt PPTStar powerpoint templates. Money Back Guarantee, valid pricing and last variety of slides to choose from, makes PPTStar one of the hottest destination for PowerPoint Templates. Try these striking templates on your own to know more.